Car accidents are possible at any time, but when Ohio winters hit, the chances of being involved in a collision increase dramatically. Snow, ice and wet roads can make your travels dangerous, whether you are completing a 20-minute commute or heading a few hours out of town. The Ohio State Highway Patrol has reported that between 25,000 and 28,000 accidents happen each month across the state during the winter. Reducing those numbers means safer roadways and less injuries for all drivers. Prepare your vehicle with essentials in case you become stranded. This includes blankets, water, food, warm clothing and any necessary medications. 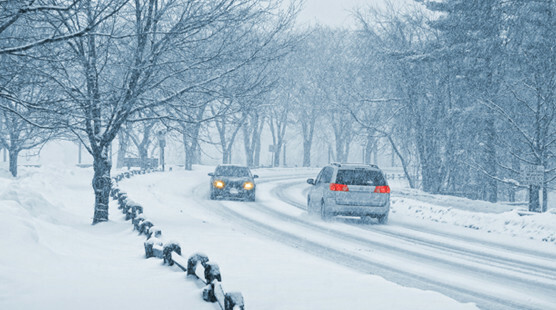 Give your vehicle a pre-winter tune-up to avoid mechanical problems in bad weather. It is also a good idea to keep your tank at least half full and your tires properly inflated. Only travel during good weather. If you can, avoid driving during storms. Taking the time to be ready for anything can drastically lower your chances of becoming stranded and keep you safe even if you do. Increase stopping distance. You will need to allow more room when following than you do during dry weather to avoid a collision. Be aware of the type of brakes you have. Non-anti-lock brakes require pumping, while anti-lock brakes need a hard stomp to activate the system. Avoid fast starts to keep wheels firmly on the road. If your wheels rotate too quickly, they are more likely to lose contact with the ground. Make sure accelerations and hill-climbs are slow and gradual to maintain a constant grip. Do not use cruise control. You need to have complete control over your vehicle’s movements, and removing your foot from the pedal can lead to an increased reaction time. Additionally, if you begin to slide, remember to keep your wheel and gaze in the direction you are trying to go. Even the best drivers in the world cannot always avoid collisions. If you become involved in a vehicle crash, contact an experienced car accident attorney to make sure you receive all the compensation and assistance necessary to repair your car, heal your injuries and get you back on the road.